As if the TI-84 Plus CE didn’t have enough cool, stylish colors to begin with, there will soon be two new attractive colors available in the 84 Plus CE family, the Golden Ratio and Bright White. The Golden Ratio, is a limited edition, shiny, metallic gold finish, and Bright White is the “sleek” white that its name implies. “For us, it’s about providing the educational tools and resources to help students build a strong foundation in math and science, setting them up for success in the classroom, college, and beyond,” said Peter Balyta, Ph.D., president of TI Education Technology. Having attended the Illinois math team state championships over the weekend, I can tell you that the TI-84 Plus family continues to be a hit with some of the best students here in Illinois. 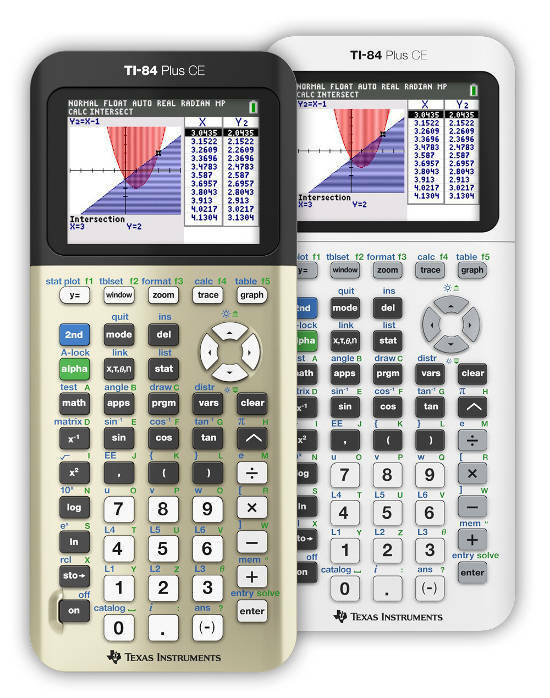 The 84 Plus CE was the most commonly used calculator throughout the competition, and as Texas Instruments continues to add stylish new forms to powerful function, that’s not a trend that’s likely to slow any time soon. Texas Instruments is promising to have these new colors stocked in time for back to school shopping. In recent years, new TI releases targeting back to school have been available fairly early in the summer.